Back when I was in Secondary School, I frequent the Hougang area a lot after class since it was nearby. The favourite hang-out place for my friends and I is none other than at the Hougang Mall! We will be sure to pass by the coffee shop just next to it, but never actually tried it. I re-visited this place a few years later. I've noticed that the coffee shop actually did some renovations! My suspicions were right - this is a brand new coffee shop called Seng Huat Coffee Shop that just opened in February this year. Their main outlet at Bugis Junction is well-known in Singapore. 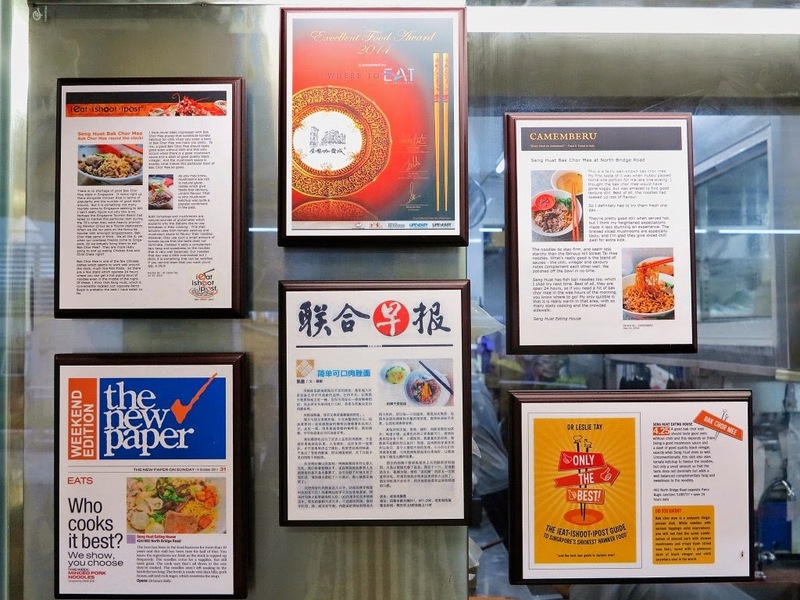 Established in 1969, Seng Huat Coffee Shop has been under the media eye for years. It seems like their Bak Chor Mee is a hot favourite! Sadly, I noticed that they do not have individual stalls that serve Muslim or Indian cuisine. They are also not Halal-certified. First up, we take a look at the Drinks Stall. 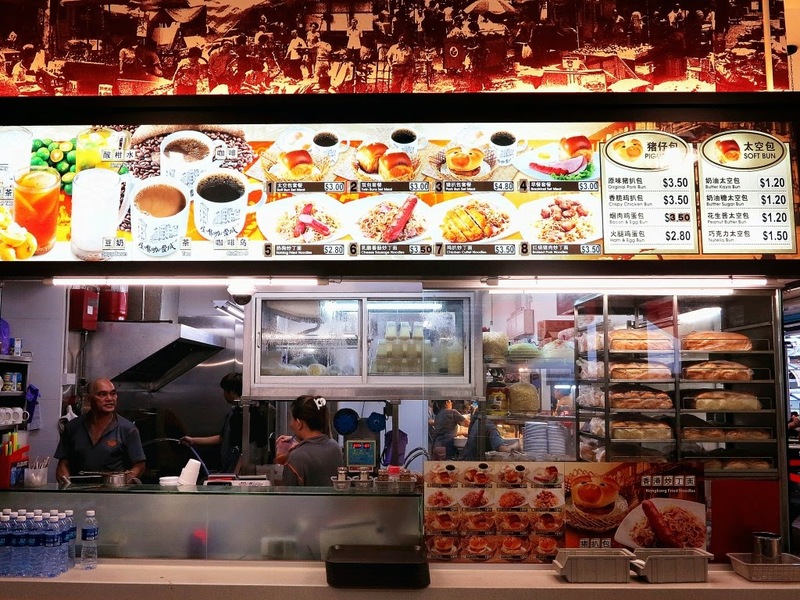 Other than the usual food they sell at every drinks stall, do you notice something different from the menu? 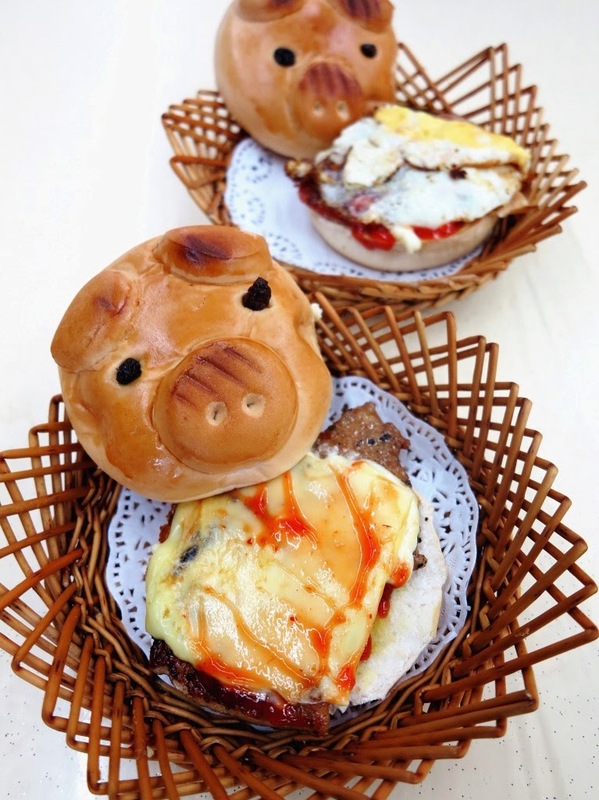 The Porky Bun comes in 3 different flavours - Original, Bacon and Egg, and Ham and Egg. For something that looks so good, I did not have any high expectations on the taste at all. BUT! This bun is inspired by burgers and it has the best of both worlds; looks good on the outside, tastes even better on the inside! Furthermore, it is priced reasonably at $3.80. Burgers from fast food restaurants? Nah, I'd rather go with this. 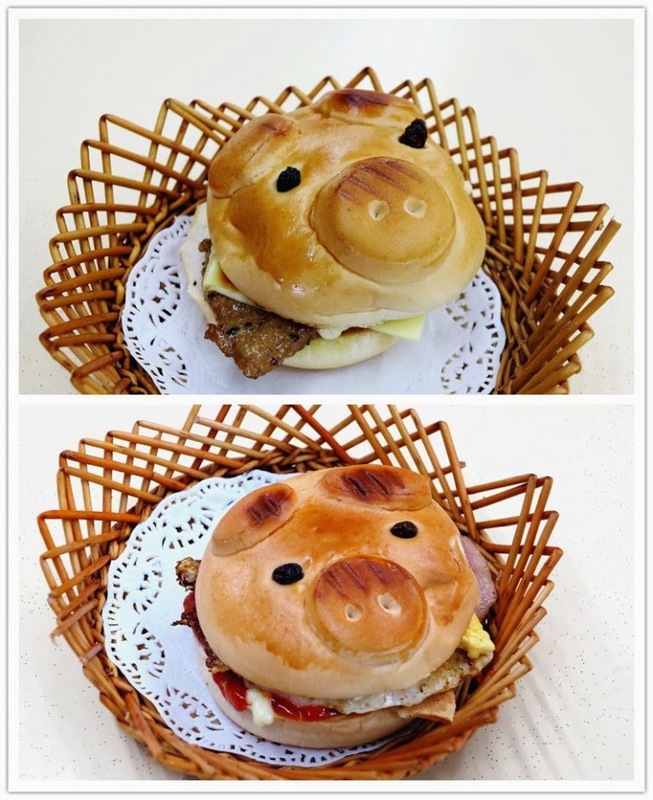 You can also opt for the Porky Bun Set Meal at an affordable price of $4.80! 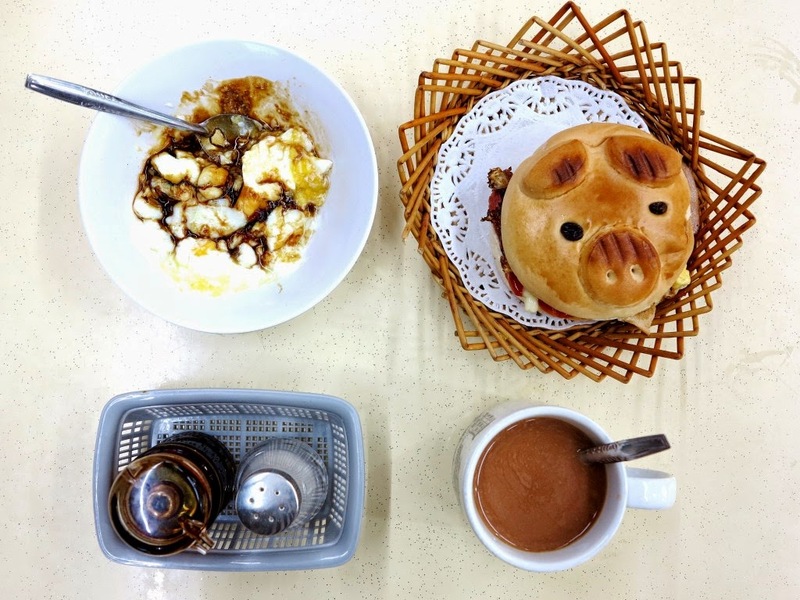 What you will get is the Original-flavour Pork Bun, 2 half-boiled eggs and a cup of coffee/tea. Moving on, this is the popular Fishball Noodle Stall and Minced Chicken Noodle Stall. You can find Bak Chor Mee, Fishball Noodle and Minced Chicken Noodle sold here. This stall is so popular, there's even a proper queue system for customers who want a taste of the deliciousness. 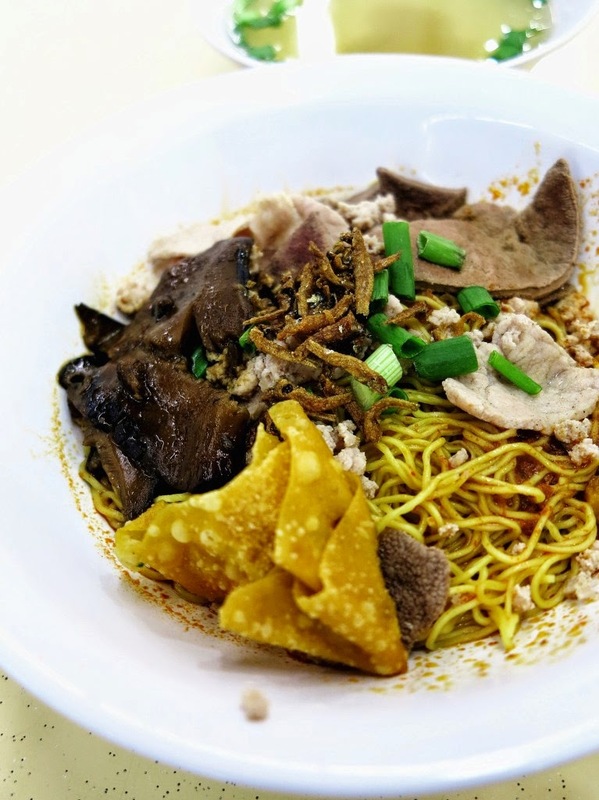 And there we have it, the legendary Bak Chor Mee everyone's been raving about. You can choose from the different types of noodles you'd like to have. For me, I had it in Mee Kia. First look - look at the generosity with the ingredients! For $3.50, it's definitely value for money. I couldn't finish a bowl by myself! The noodles were tender and chewy, all the flavours came together really well. This delicious bowl of noodles was done dry and the spice was enough for a real kick to keep you going. Do take note of that if you cannot handle spicy food. If you like to mix and match your meals, the Fried Noodle Stall sells all types of noodles and side dishes. 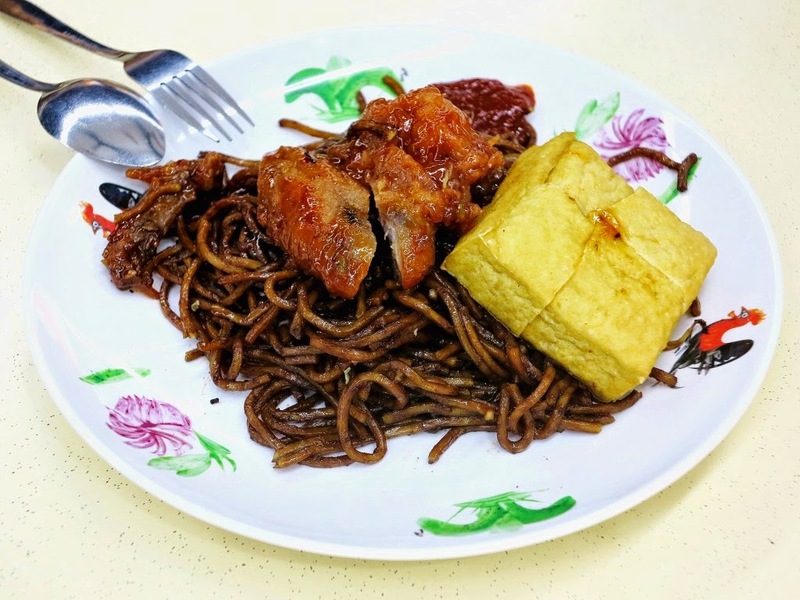 For $3.20, I ordered my favourite Black Sauce Fried Noodle accompanied with Sweet and Sour Chicken and Fried Toufu. The dish is simple, but I couldn't put my fork down. I think this stall is great for day-to-day meals because of the variety of options. 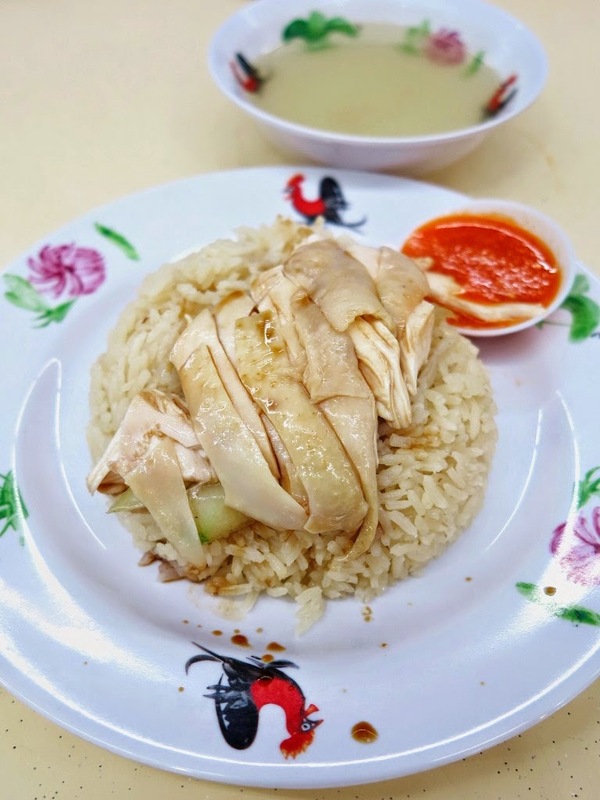 Last but not least, we have the Hainanese Chicken Rice Stall at the corner that seems like a crowd-favourite as well! The national's favourite dish in steamed chicken, and it only costed $2.70. Though the taste of the chicken rice wasn't strong, the chilli sauce that accompanied definitely did made up for it. The chicken was not only juicy and flavoursome, I found the serving to be generous. The slight drizzle of the sauce on the top completed the dish.